Chatting with Harvard’s B. 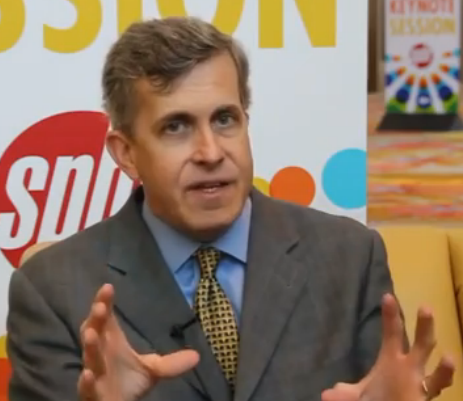 Price Kerfoot at SPBT 2013. I recently attended the Society of Pharmaceutical and Biotech Trainers (SPBT) Annual Conference in Orlando, which featured many interesting presentations, including one by Dr. B. Price Kerfoot. Dr. Kerfoot led ground breaking research in spaced education and has recently explored game mechanics in learning. I had the pleasure of chatting with Dr. Kerfoot, Harvard Medical School professor, edtech researcher, and Qstream board member. A rough cut of our interview follows and a feature article entitled “Spaced-out learning” appears in the March 2014 issue of Training Journal. The spacing effect has been studied as far back as the 19th century by Ebbinghouse. The spacing effect shows that if you present information and then reinforce it over spaced intervals of time, it increases the acquisition of knowledge and encodes it so it’s better retained over the long term. The testing effect, which shows that the act of testing increases retention. Testing in not just for evaluation, the retrieval required during testing can itself dramatically improve long-term retention. Information retention, knowledge transfer to related topics, and learning efficiency . On the job performance . Identification and remediation of underperforming learners [4, 5]. We understand spaced education. Code Crew builds mLearning apps for agencies, training vendors, and healthcare brands. Bleeding edge tech, sound instructional design, & reasonable pricing for iPad, iPhone, Android, & Web. Check us out! More recently, Dr. Kerfoot studied the combination of spaced education with certain game mechanics (rules intended to make games engaging). In this video we discuss how game-like spaced education increases knowledge retention and test performance while being associated with improved course completion rates and motivation to participate in future spaced education programs [5, 6]. Rewards. Gabe Zickerman SAPS model: Status, Access, Power, and Stuff as well as balancing intrinsic and extrinsic motivation. Teams. Rewarding teams can be more effective than rewarding individuals . Leaderboards. Designing leaderboards for create a shame-free, safe environment that motivates and engages learners. Dr. Kerfoot’s research is part of the body of knowledge demonstrating that, while intensive training can produce a short-term spike in learning, the learning degrades over time. This forgetting curve is so consistent and predictable that it likely has a biological basis. Learning designers need to begin with the assumption that learning is forgotten over time and therefore performance based on that learning will also decline. The spacing effect and the testing effect are powerful mechanisms to offset the forgetting curve. These principles can be designed into any learning program either by spreading out the initial learning/testing over time or by supplementing intensive training with spaced education. Game mechanics can also be integrated to enhance learner engagement and motivation. The spacing and testing effects blended with game mechanics are well suited for mobile learning. Spaced education works best when small nuggets of information are offered over time. Small nuggets are also preferred in an mlearning context, where learners may not have more than a few minutes to study. Game mechanics will help motivate learners to engage in their mlearning, rather than having their attention captured by other temptations on the mobile device, whether Angry Birds, Facebook, or Twitter. A Multi-Institutional Randomized Controlled Trial of Adjuvant Web-Based Teaching to Medical Students, Academic Medicine, B. Price Kerfoot and Harley Baker et al, March 2006. Online Spaced Education Generates Transfer and Improves Long-Term Retention of Diagnostic Skills: A Randomized Controlled Trial, American College of Surgeons, B. Price Kerfoot and Yineng Fu et al, September 2010. Durable Improvements in Prostate Cancer Screening from Online Spaced Education, American Journal of Preventive Medicine, B. Price Kerfoot and Elizabeth Lawler et al, November 2010. Online ‘Spaced Education Progress-Testing’ of Students to Confront Two Upcoming Challenges to Medical Schools, Academic Medicine, B. Price Kerfoot and Kitt Shaffer et al, March 2011. An Online Spaced-Education Game to Teach and Assess Medical Students: A Multi-Institutional Prospective Trial, Academic Medicine, B. Price Kerfoot and Harley Baker et al, October 2012. An Online Spaced-Education for Global Continuing Medical Education, Annals of Surgery, B. Price Kerfoot and Harley Baker, July 2012. Individual- versus Group-Based Financial Incentives for Weight Loss: a Randomized Controlled Trial, Annals of Internal Medicine, Jeffrey Kullgren and Andrea Troxel et al, April 2013.